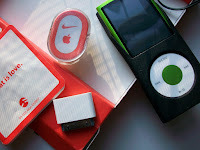 Nike + Ipod's - Things to do! Read the instructions completely so that you enjoy running with the sensor and get accurate results! I used to use the Nike sensor for tracking my run and going into challenges and enjoyed it, especially joining Nike! The Nike + Ipod - Things to do so it works well for you. The sensor needs to be turned off after every run to save battery life. It costs around $20.00 to replace new sensor. The sensor is suppose to last up to 3 years, if sensor is turned off properly. Make sure the sensor doesn't jiggle around while you run or the mileage might be off. If you don't have the Nike runner you can purchase a case to put the sensor in and it attaches to the shoe through the shoelace. Turn off sensor and hold for 3 seconds to make absolutely sure the sensor is turned off.